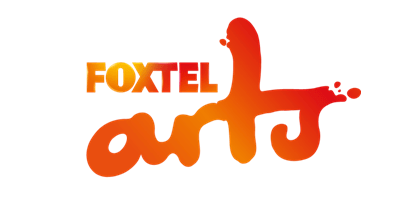 Australia’s thriving arts scene will be showcased in a brand new monthly show produced exclusively by Foxtel Arts called EVENT, hosted by Deborah Hutton and premiering on Sunday, September 6 at 5.00pm AEST. Filmed in the Foxtel studios and exploring everything that’s new in Australian music, theatre, visual arts and books, EVENT will give viewers an up-to-date look at what’s happening around the country in the arts world, from current shows, to festivals, exhibitions and interviews with local and touring talent. EVENT will feature in-studio interviews with Deborah and some of Australia’s leading and up-and-coming artists, as well as live in-studio performances and regular segments. Episode one includes interviews with Australian acting royalty Barry Otto – currently appearing in Seventeen at the Belvoir and celebrating 50 years in acting; award-winning actor Susie Porter backstage at Sydney Theatre Company ahead of the upcoming season of Death and the Maiden – and acclaimed violinist Richard Tognetti, celebrating 25 years as the Artistic Director of the Australian Chamber Orchestra. Richard Tognetti will also perform, along with YouTube sensation and beatboxing virtuoso Tom Thum, who is set to play alongside the Queensland Symphony Orchestra at the Brisbane Festival in September. Deborah will be joined in the studio each month by ABC Radio National presenter and arts commentator Cassie McCullough. Cassie will present up-to-date arts news and host The Critics’ Corner, a monthly segment featuring two guest journalists and their no-holds-barred critiques of current books, music and theatre. She will also interview the show’s monthly Artist in Residence, which features an Australian artist creating a piece of artwork right in front of the viewers’ eyes – and the big reveal at the end of the show. Episode One features street artist Tim Phibs.